For many of my applications I need to measure a distance. I have used ultrasonic sensors, but there view angle (beam) is not able to detect smaller objects, it very much depends on the object surface and angle, it is slow and not very precise. I have used infrared sensors, but here again it depends on the infrared reflection of the object in range, it depends the amount of reflected light is not really telling much about the distance, and yet IR reflection is subject of material and object targeted. But there is yet another sensor type to consider: ToF! ToF (or Time-of-Flight) sensors have a built-in LIDAR: The sensor is sending out light pulses and measures how much time it takes for the light to come back. 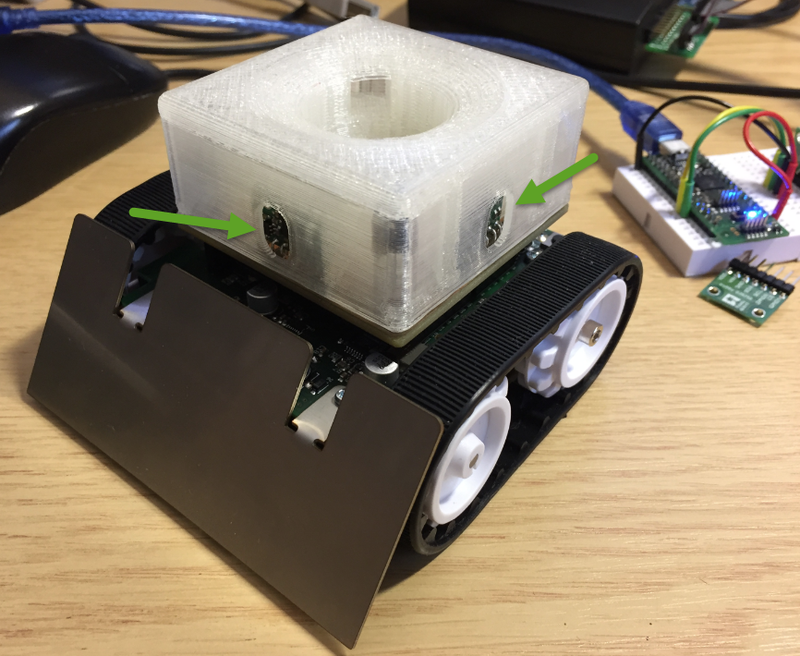 Similar to ultrasonic sensors (see “Tutorial: Ultrasonic Ranging with the Freedom Board“), but instead of ultrasonic it uses an infrared laser light. Or think about a radar system using an infrared laser light. STMicroelectronics calls its technology ‘FlightSense’. 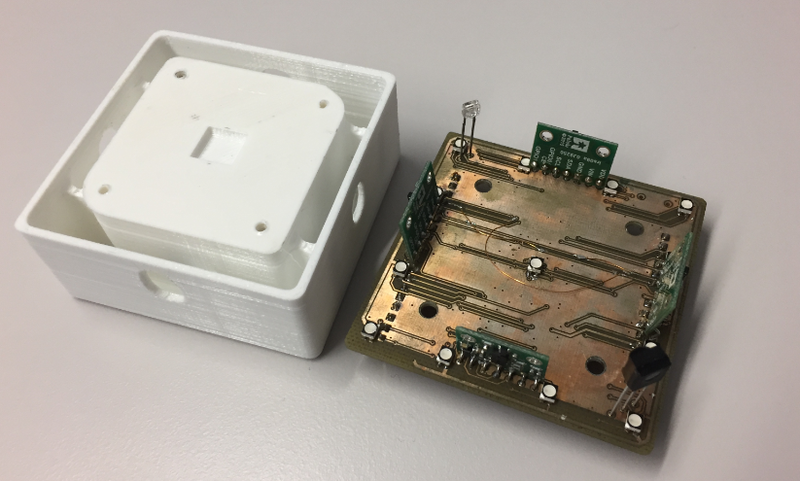 It uses a SPAD (Single Photon Avalanche Diode) array and a VCSEL (Vertical Cavity Surface-Emitting Laser), combined with an ALS (Ambient Light Sensor) on the VL6180x. The ToF technology starts to be used in more and more applications: from gesture recognition, human presence detection in public transportation up to detect and measure object distances (e.g. how far a mobile phone is from the ear to adopt the audio volume). 💡 The range scaling is not mentioned in the data sheet, but mentioned in UM1876. 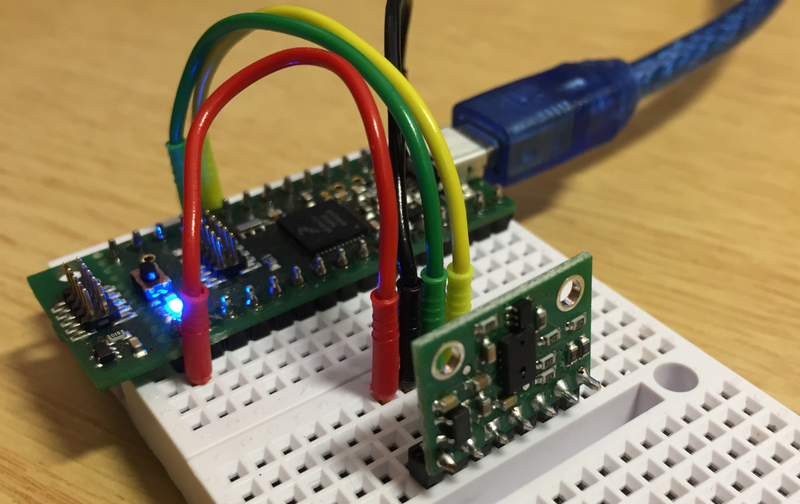 💡 Remove the I2C pull-ups if using multiple sensor boards on the same bus, or if the I2C bus already has pull-ups attached. With the STMicroelectronics VL6180X I’m able to measure very accurately distances for robotics and gesture recognition. The VL6180X works up to 60 cm, for longer distances the VL53L0X (up to 2 m) should be considered. 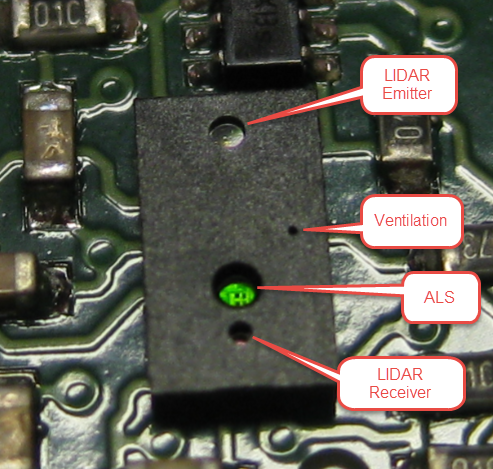 This entry was posted in ARM, Boards, Cortex, CPU's, Embedded, Kinetis, STMicroelectronics, TinyK20, Tutorial and tagged LIDAR, Time-of-Flight, ToF, VL6180X by Erich Styger. Bookmark the permalink. I have been playing with the VL53L0X and wanted to interface it to a Kinetis part. Your example is just what I needed. When I compile with KDS 3.2 “MCUC1.h” in “Events.c” cannot be found and “TofCE1.h” cannot be found in “VL6180X.c”. Where are these files? these are generated files by Processor Expert. MCUC is from a newer component (McuLibConfig, not released yet). You can simply remove that header file include. 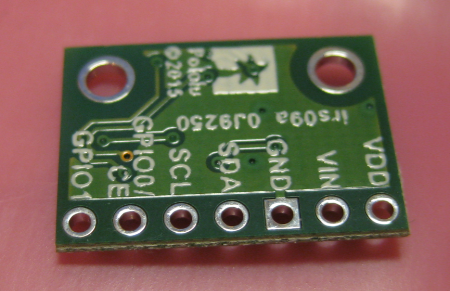 TofCE1.h is the CE pin of the module in case you are using multiple sensors on the same I2C bus. Set VL_MULTIPLE_DEVICES to zero and it should not include any additional chip select header files. great article. The VL6180X looks very interesting. We’ve used optical proximity sensors in the past but i am wondering about the precision of this type of sensor. Have you been able to observe how stable the output is if your sensor and the target are stationary? In other words, how noisy is the output (if at all)? And what happens if the distance isn’t an exact multiple of the resolution? Do you get an output that dithers between two readings? 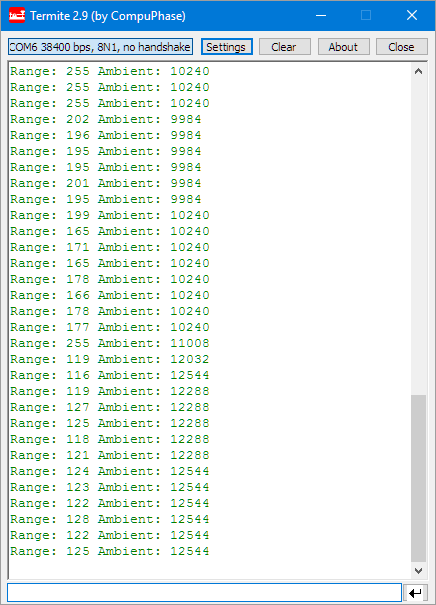 What I am getting at is if it would be possible to use any dither (that might be present in the output) to increase the accuracy of the sensor. Might not be applicable to what you are doing but I am after a different (static) application where I can run many scans to maybe increase the resolution. I have not done formal measurement yet (but I just learned that we do have a ToF measurement system at the university :-). With my ad-hoc tests I have found that the measurement is very stable. The data sheet indicates some re-calibration (temperature). There is a measurement chart at the Pololu page (https://www.pololu.com/product/2489), maybe this already helps? In any case, your thoughts are very, very intersting. 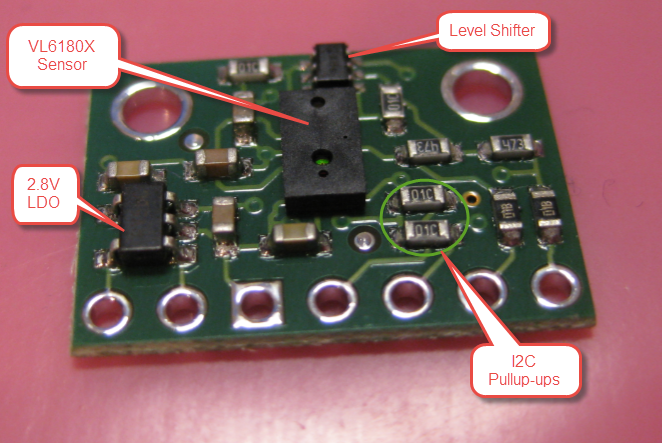 I would like to use the VL6180X on the KL25z with codewarrior. I tried it by myself but it didn’t work… Can I use exactly the same code you posted or or do i have to change something? What about the frequency of the IIC Interface? This is the most interesting and relevant project to what I am currently doing in university right now. 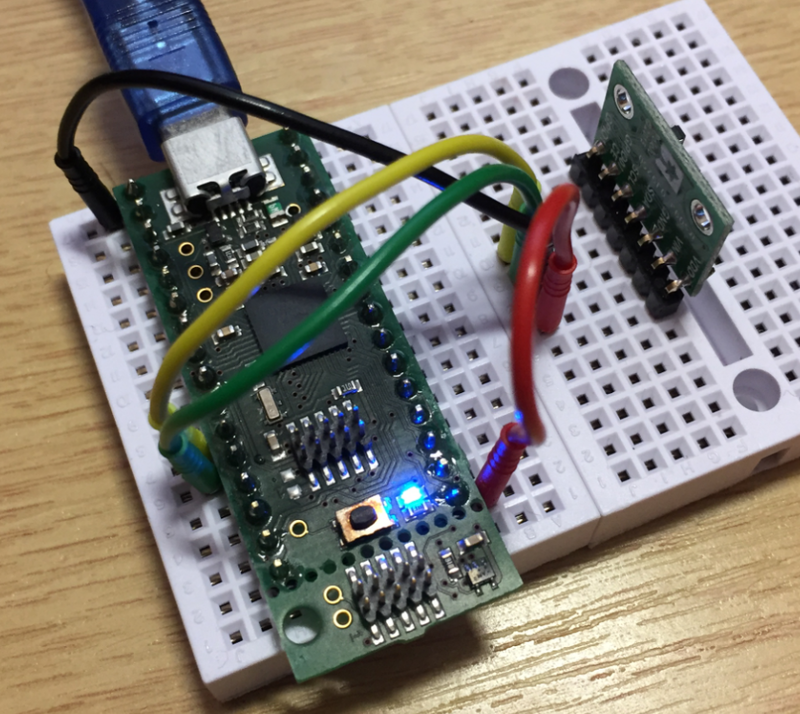 I’m using the FRDM-KE06Z development board and Codewarrior to interface with the VL6180x. However, I’m very new to microcontrollers and I can’t understand how to get it to actually work. How would I download the header files and all relevant code to get the sensor to work? I have got it to work with the mbed compiler and LPC7168 but using codewarrior is proving more of a challenge. I would recommend to use Kinetis Design Studio and not CodeWarrior (that’ already legacy). At least for myself, I have pretty much everything moved to KDS. You would need a Processor Expert project (I have a basic one on GitHub here: https://github.com/ErichStyger/mcuoneclipse/tree/master/Examples/KDS/FRDM-KE06Z/FRDM-KE06Z). Then you need to add the needed components to the board/project. If time permits, I could do it quickly myself, but I’m busy with too many things right now. I have become familiar with codewarrior and i ‘kind of’ understand how it works so I would prefer to use it, sadly. That’s the thing: That link would be useful to someone with experience but I don’t have any idea what to do with it. I was thinking of something along the lines of copying and pasting the headers/structures into codewarrior then a main code that could do the same thing as with the mbed online compiler. what you have in mind is absolutely possible, no issue with that approach. Usin an environment you are familiar makes absolutely sense. On the other end: Both KDS and Eclipse are Eclipse based and mostly the same from the user perspective, but KDS is more modern and newer than CodeWarrior. I have been trying to work away at this project for the past week with no success. I think this tutorial that you did – https://mcuoneclipse.com/2012/09/21/tutorial-accelerating-the-kl25z-freedom-board/ – was incredibly in depth and I was able to follow it and get it working. Would it be possible to add another few pictures/walkthroughs for this project? I’m having difficulty getting it going. I understand you’re busy, so I totally understand if you can’t. I was hoping that the provided source code with all the other information would be helpful enough? Where are you stuck? no, I have not used the STM API as this one was too complex and not easy to use. Hello , is it possible with this tof sensor to achieve 0.1 mm resolution even if you have to stay in much lower range like 40 mm? Have you try to find out what is the best resolution that you can get from this sensor? Otherwise do you know any other time of flight sensor or triangulation that has 0.1mm resolution in low budget? I am trying to complete my thesis and i desperate need 0.1mm resolution out of non contact sensor, i tried with sharp GP2Y0A41SK0F and after using many methods i managed to smooth the data and get 1mm resolution , but isn’t what i desperate need this moment. No, that sensor only has a resolution of 1 mm, and that is only if the object is not away more than 15-20 cm. Thanks for fast reply , i see, have you heard any type of optical sensor with that resolution for hobbyist? not in the hobby price range. Thanks for tutorial. Does vl6180x have a SPAD. Can i make a dept map using vl53l0x or vl6180x?